This large complex working site is a role play game that involves a series of activities accommodate up to 25 children at the same time. This work site includes an unfinished house where bricks are to be built into walls, using different tools including crane, conveyor belt, wheel barrow, etc. 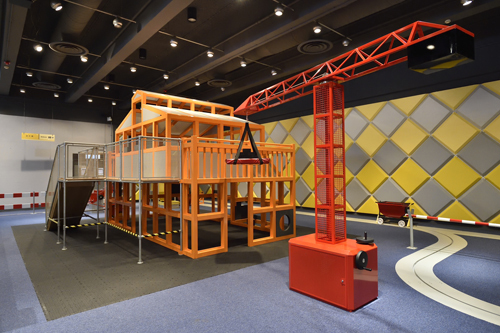 This exhibit enables children to develop their social skills and learn the concept of engineering work for building a house. Working together to make a coaster and send a ball rolling down from different heights, the children will find that the speed and distance it travels vary. 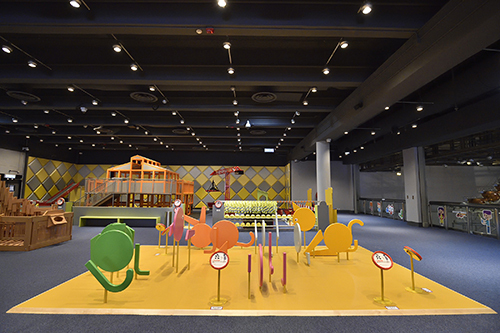 This exhibit encourages children to cooperate with each other and perform an experiment to discover the scientific principles behind it. 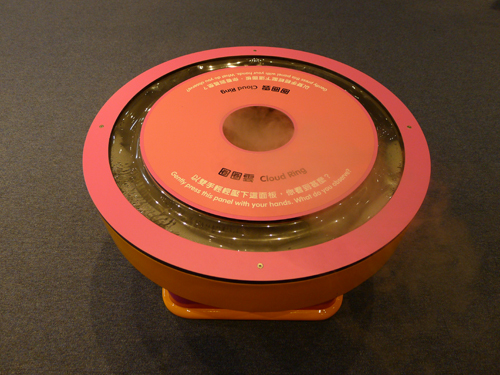 When children press the panel, they will be surprised to see a cloud ring come out of the opening. The aim of this exhibit is to stimulate the curiosity of children and their interest in science. The children place a small ball at the top of the tower and when the ball is rolling down, an interesting sound is produced. 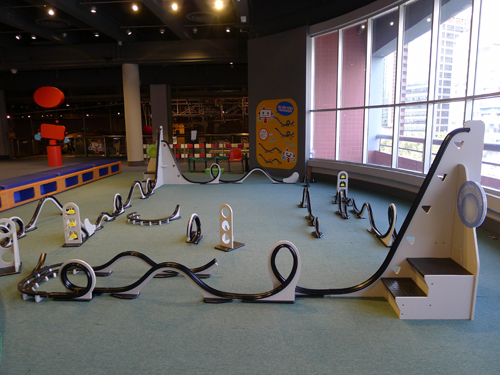 In addition, the ball surprisingly changes its direction because of a reversed slope. This activity encourages children to observe and think about the changes. Children can see 5 different animals including a cat, a rabbit, a duck, an elephant and a chick by moving to find the right position. These animals are made of different geometric shapes. 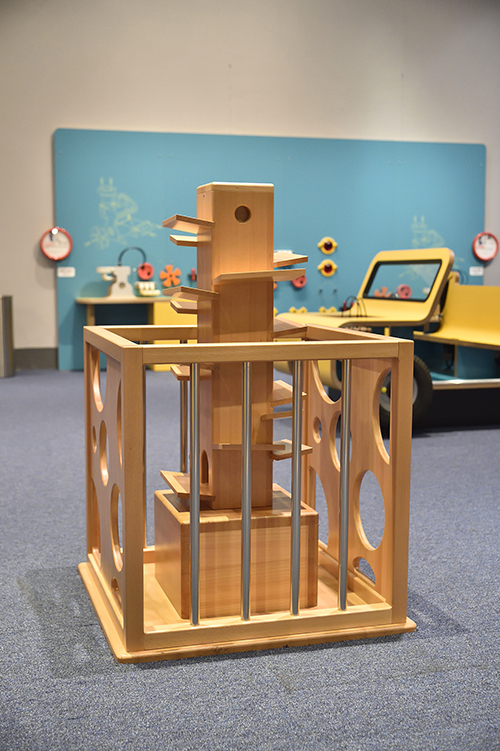 This exhibit allows children to observe and learn about the concept of space, perspective and geometrical patterns.